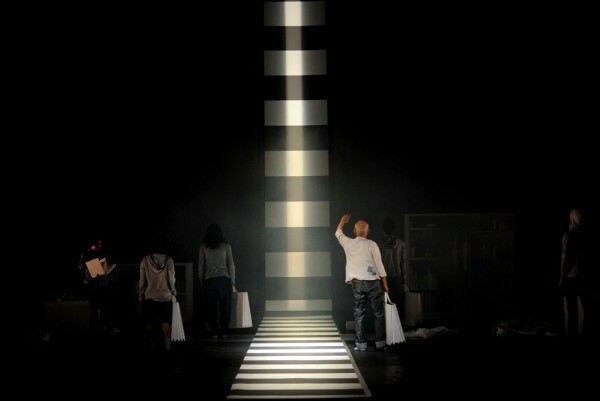 WORKS / Hiroshi Koike Bridge Project "The Milky Way Train"
Five years after the performance of “Punk Don Quixote” in 2009, we designed the set for director Hiroshi KOIKE's latest production "The Milky Way Train." 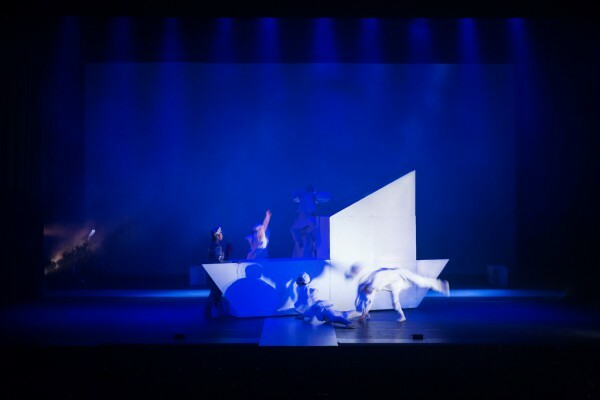 We were tasked with creating a stage set using paper as the main material to represent a fragile and fleeting world that professes to stand between the world of the living and the dead. 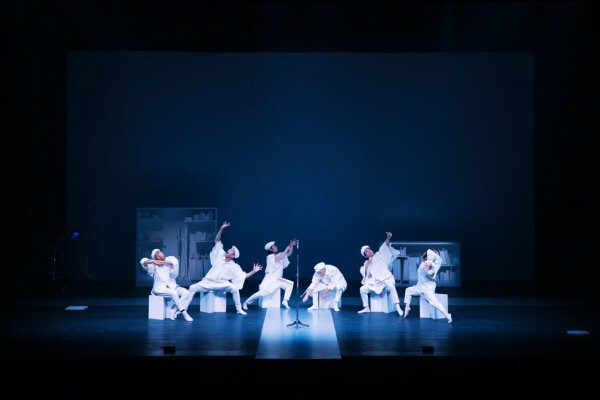 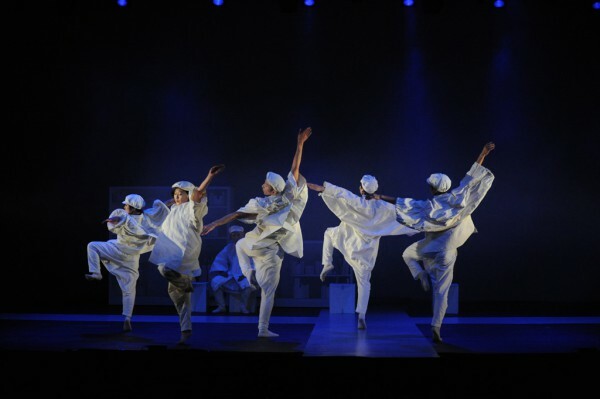 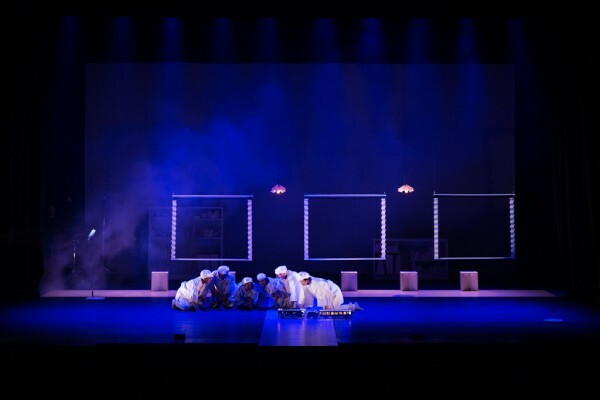 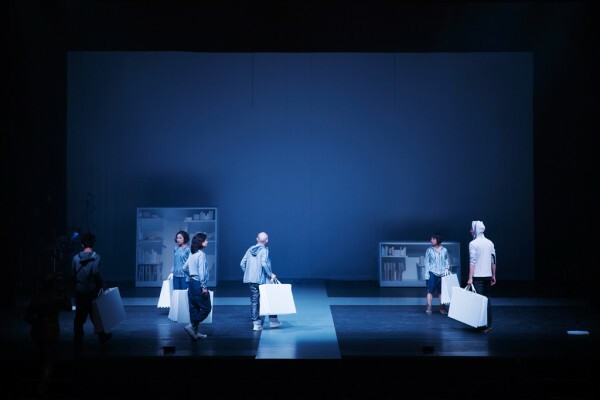 As such, we wanted to bring forth the stage's potential for eliciting the actors’ physical expression, not as a background, but as a tool to enhance the movements of the performers. 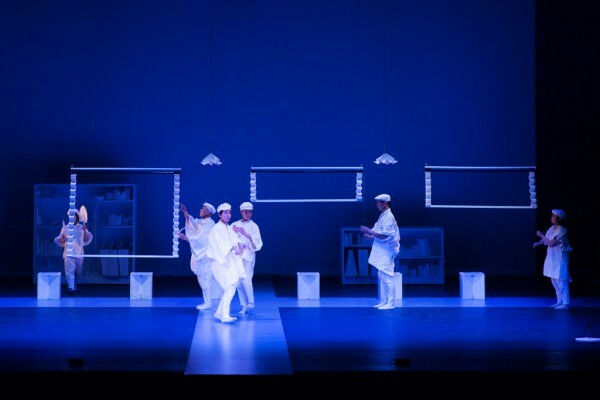 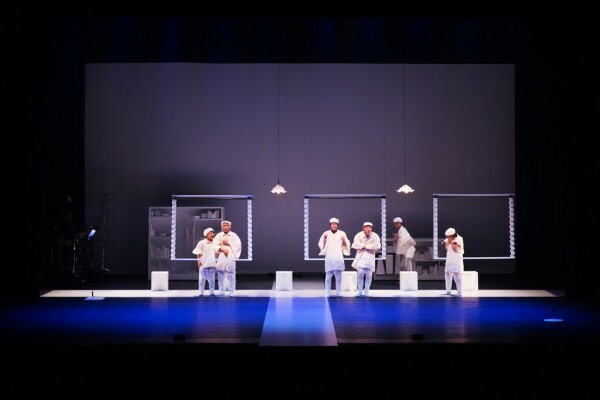 During the play, performers switch roles depending on the scene by extracting tools from a "bookshelf" containing small tools at the back of the stage. 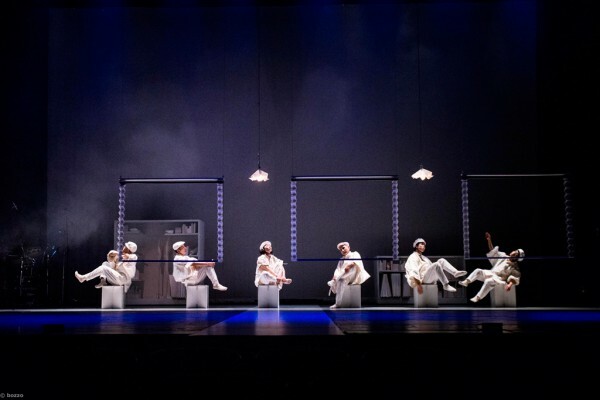 Windows which fold up and down like bellows at the center of the stage represent the interior of the train that frequently appears during the story. 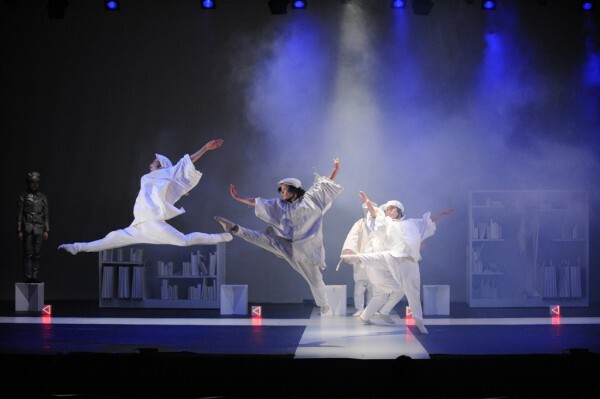 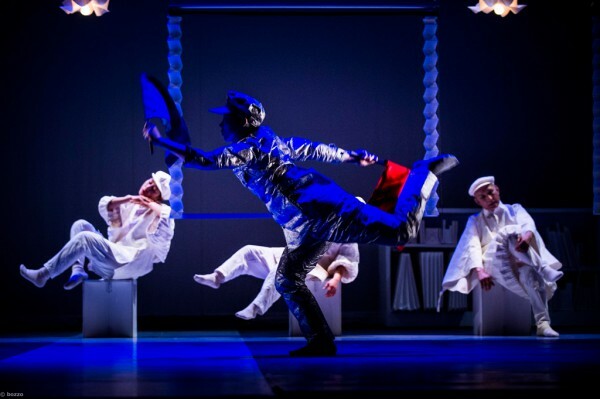 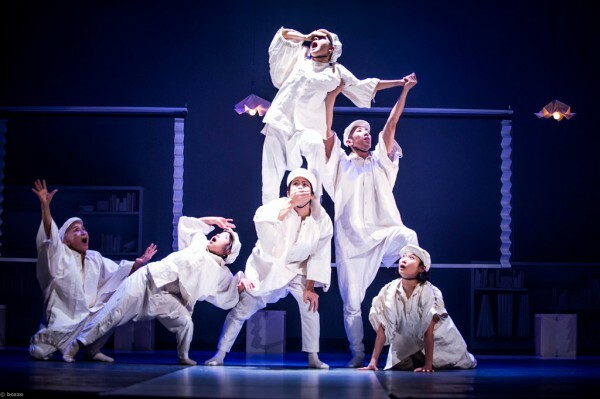 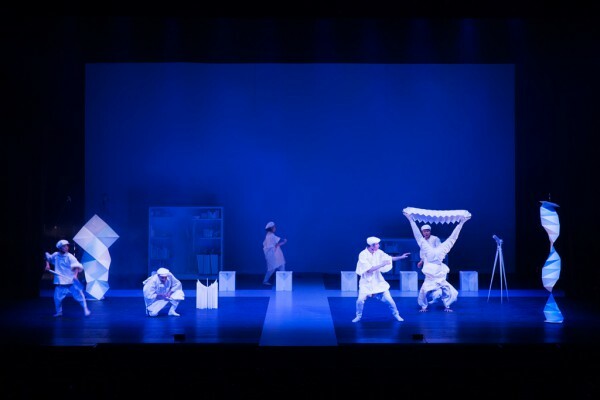 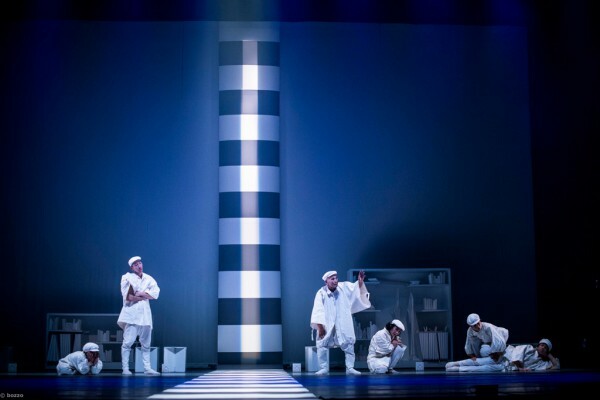 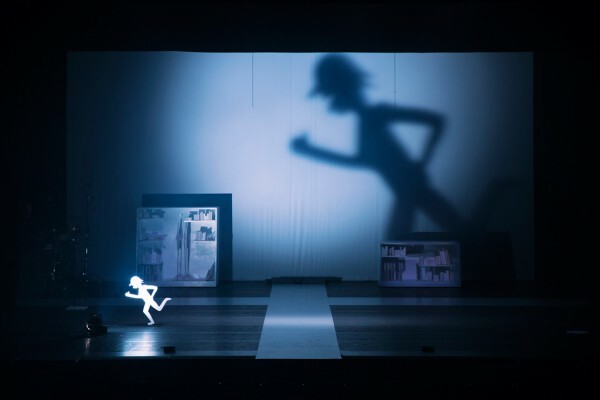 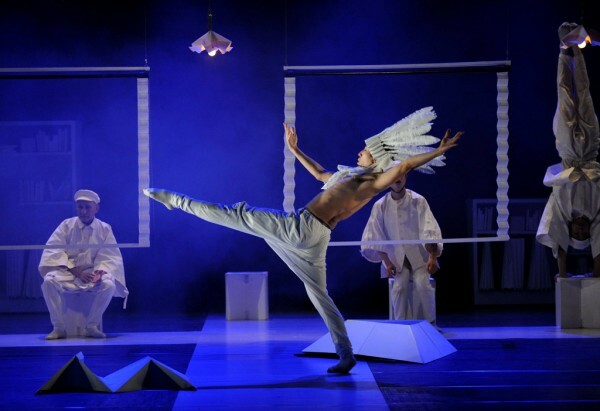 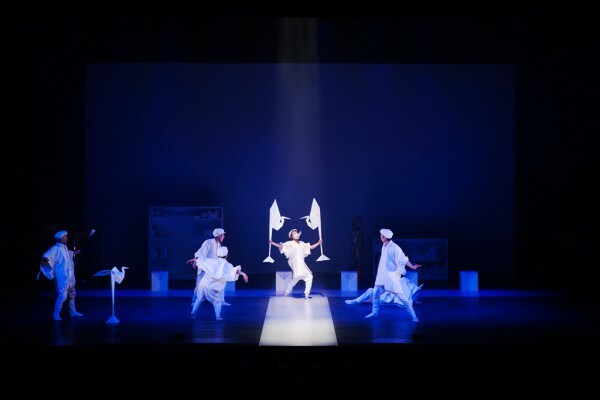 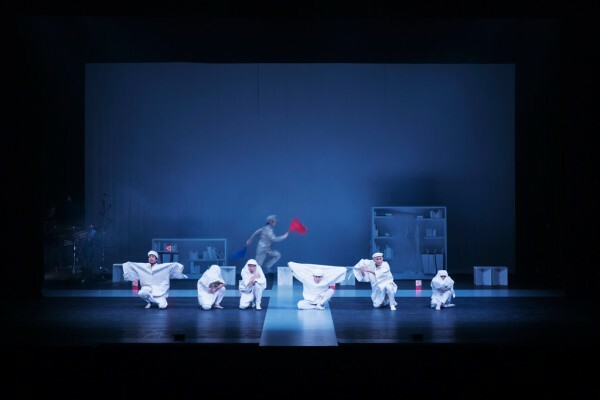 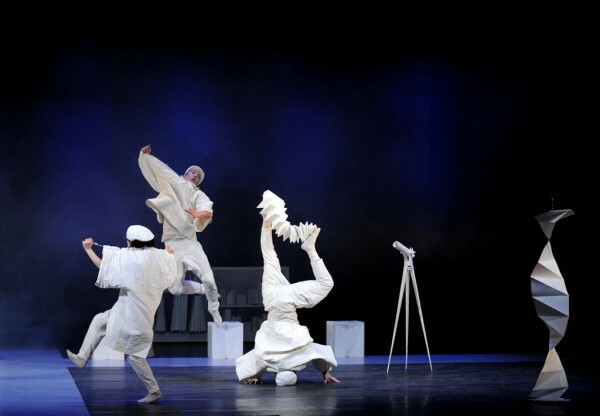 The solid object made of paper airily pops up like a living creature, thus creating a still otherworldly scene and making the story progress as it changes the stage space. 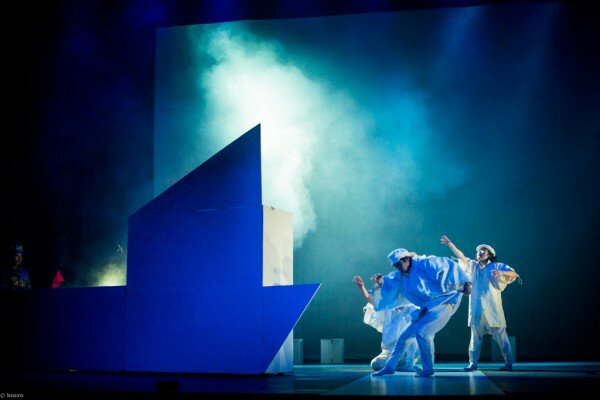 In the latter half of the play the bookshelf itself undergoes a transformation into a big boat. 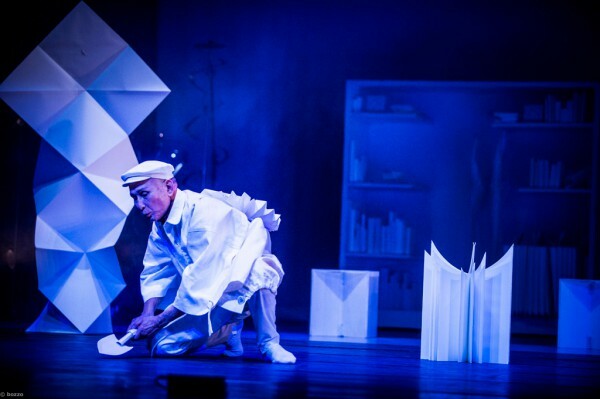 By focusing on the light and deformable paper objects, we were able to utilize the strength and flexibility obtained by folding it and inextricably fuse them with the performer's dynamic movements. 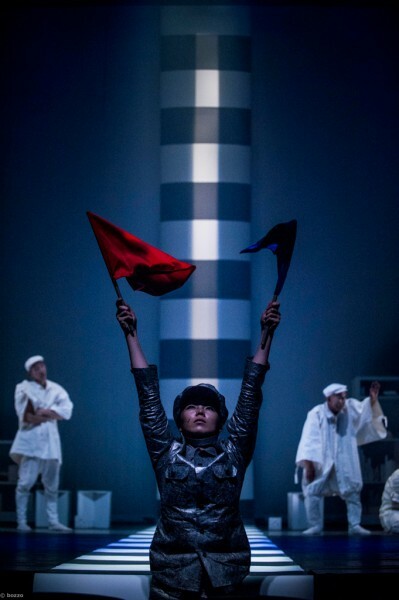 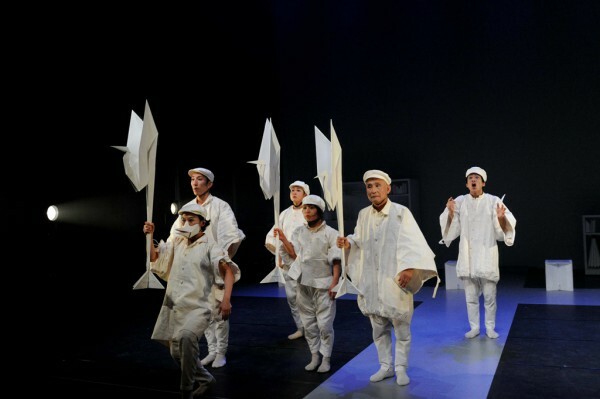 At the end of the play, a big railroad which connects the heavens and the earth appears, thus becoming a bridge between life and death, the real world and the unreal world.